Pendulum eBooks and Courses for Performers! Why does this website exist? We wanted to create ONE place that would feature beautiful pendulums and outstanding resources for entertainers. There's not a single resource below that we do not fully stand behind. Everything here has either been designed by us...or has impressed us enough that the authors were wooed, cajoled and/or bribed to allow us to make them available to you here. This is the place to be if you're a performer who wants to know more about using a pendulum in your performances. 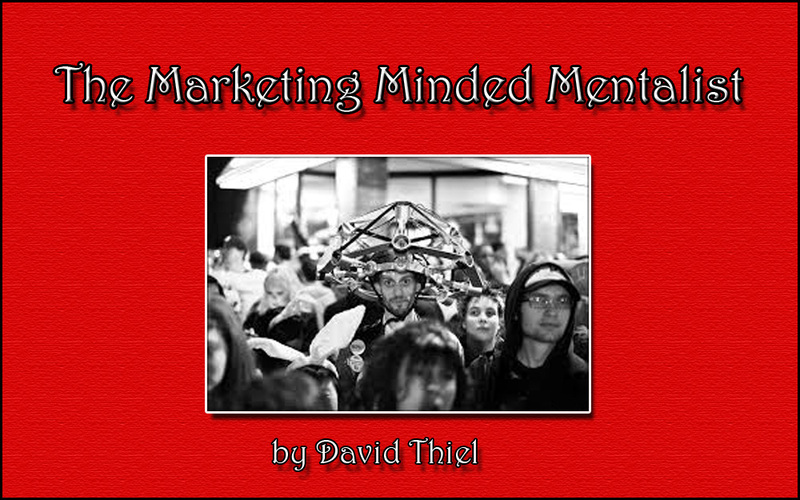 Here you will find thoughts from Richard Osterlind, Bob Cassidy, Dr. Bill Cushman, Paul Prater, Pablo Amira -- and many more. They all use pendulums in their performances and they all have chosen to share their thoughts and routines with you. Magic Pendulums: A Guide for Mystery Performers is the first in the trilogy. This book is designed to introduce performers to using pendulums in their performances. We highly recommend this book if you're new to the area of pendulums. It's the book we wish had been available when we were just learning about them. Magic Pendulums: Routines for Mystery Performers accents storytelling. The material here is a little darker. Each routine concentrates on the presentational aspects of using pendulums. Expect a few routines to run some phantom fingers up and down your spine. This is outstanding storytelling. Magic Pendulums: Masterworks is the final book in the trilogy. We asked top performers to share their bread and butter routines with you -- the ones they go to in their shows on stage, close-up and parlor. We believe it is some of the strongest material available. 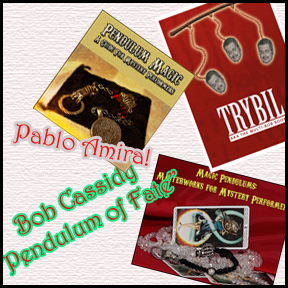 Bob Cassidy's "The Pendulum of Fate" is an acknowledged classic work on the topic. You get Bob's insightful thinking and precise routines for using pendulums. A wonderful resource. Trybill by Bill Cushman is one of the few books that not only feature the thoughts and routines on one of mentalism's most prolific and creative minds...but it also features routines from the top names in mentalism. Have a look...and TRY to tell us this isn't one of the most tempting books you've seen. Like ever. We chose Pablo Amira to write an introduction to pendulums -- an ebook that goes out to each new purchaser of a pendulum through us -- because he is an acknowledged expert. This isn't just an ebook. It's a complete COURSE on how to use pendulums. You may want to check out the books one at a time...have a look. at each of them by clicking on the hyperlink for a detailed explanation of what is in each book. You get all SIX books -- a $224 value at a tremendous discount. 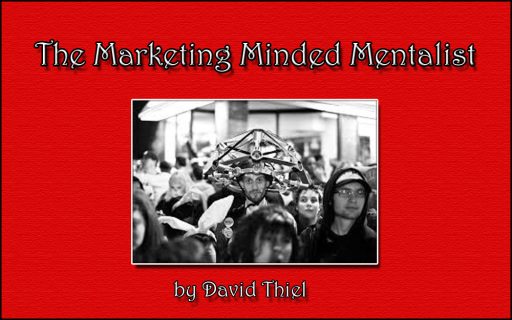 You get all SIX books PLUS our bestselling "Marketing for Mentalists" book. Learn more about it here.